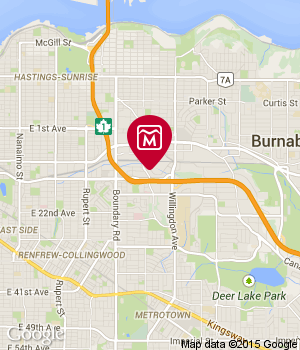 Visit Morrey Nissan of Burnaby today and get to know our experts! Morrey Nissan of Burnaby wants to be your trusted, number one destination for all of your Nissan product and service needs. Located at 4450 Still Creek Drive in Burnaby, British Columbia, we have been serving our community and our loyal customers with passion and dedication for over 50 years. Now run by the third generation of the Morrey family, we still hold true to the values of honesty, integrity, customer service, and overall dedication that have allowed Morrey Nissan of Burnaby to grow and prosper, and to continue to service our loyal customers with a smile. Morrey Nissan of Burnaby offers you a complete selection of new and pre-owned Nissan vehicles of the highest quality, as well as a wide range of commercial Nissan vehicles. Every member of our team is experienced, diligent, knowledgeable, and passionate about Nissan, and this dedication is evident in how we interact with our customers. We also offer everything you need to keep your Nissan safe, reliable, and on the road with our complete range of after-sales services that include body work, a detailing center, a tire center, an auto glass department, a genuine Nissan parts and accessories center, and of course a state-of-the-art service and maintenance area. For all of your Nissan product and service needs, trust Morrey Nissan of Burnaby. Contact us today at 604 676-6975 to find out more about our services, or use our online contact form.